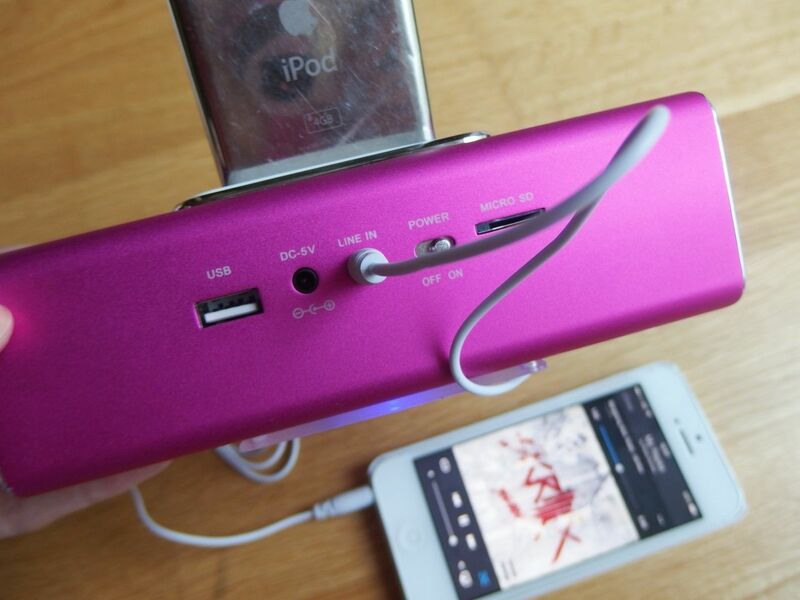 I recently was contacted by MyTrendyPhone to review one of their mobile or tablet accessories. As I have been listening to music on my iPhone a lot more using my Deezer app which is free from Orange, I thought it was the perfect excuse to try out a docking station which is compatible with my iPhone. 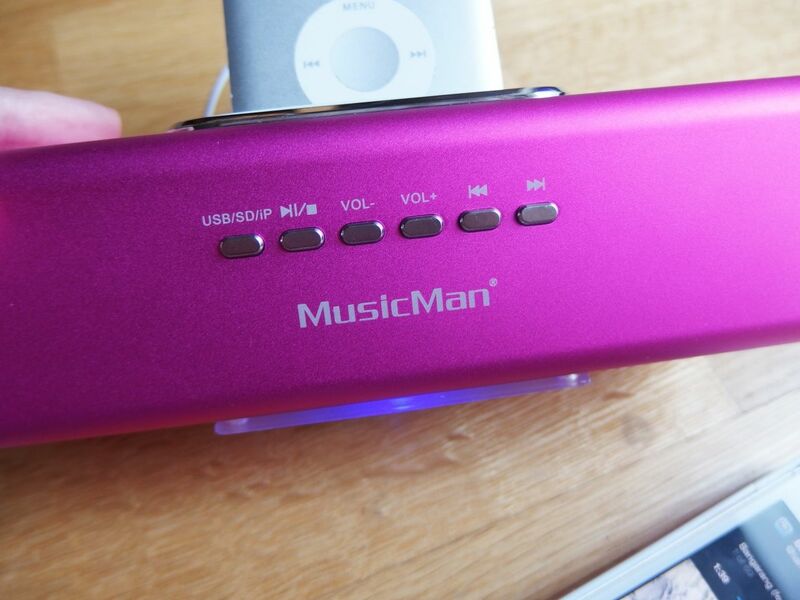 I chose the MusicMan Soundstation & Docking Station Stereo Speaker in pink of course! It said it was compatible with my iPhone 5 and also iPod as well which was perfect. When it arrived it was very small and I really had doubts the sound would be any good, I expected a really tiny beat with no bass, but I was so wrong! I tested it out with the iPhone first, all you have to do is connect the wire to the back of the station and plug it into your phone just like headphones, the sound was really good and the volume goes pretty loud! 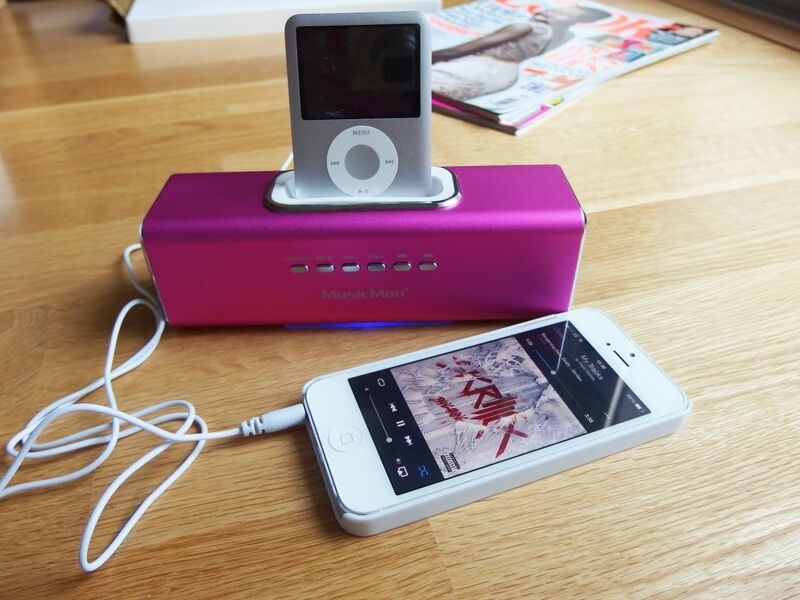 The iPod however sits nicely on the top of the stereo and again it had a great sound. I still have the old version of the iPod, I still think it’s the best one! Anyways the soundstation also comes with a USB cable so you can charge it up from your PC or laptop or play music from that too if you wanted to I guess. 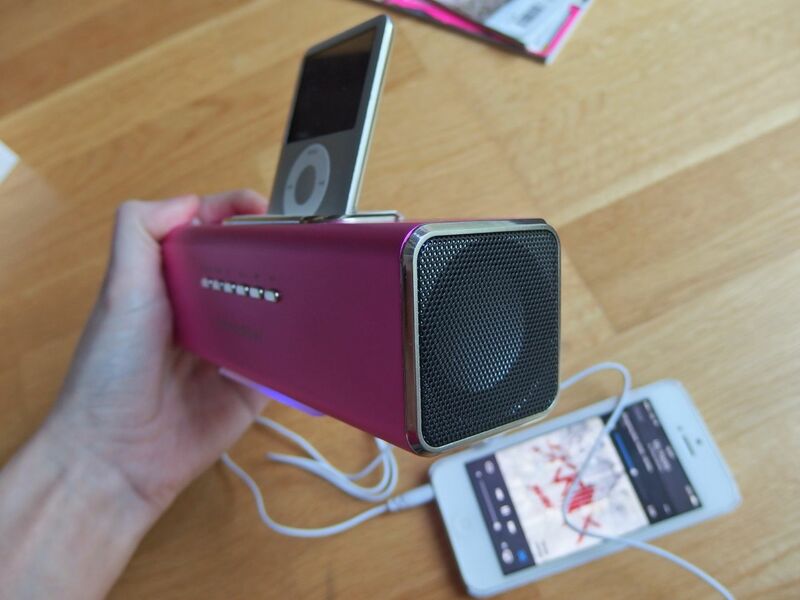 There is also a slot for an SD card, it really has every possible option to listen to your music. Underneath it lights up blue when it’s on and red when it is charging! It doesn’t take long to fully charge at all, about 3 hours and from that you get 5 hours of playback it states. 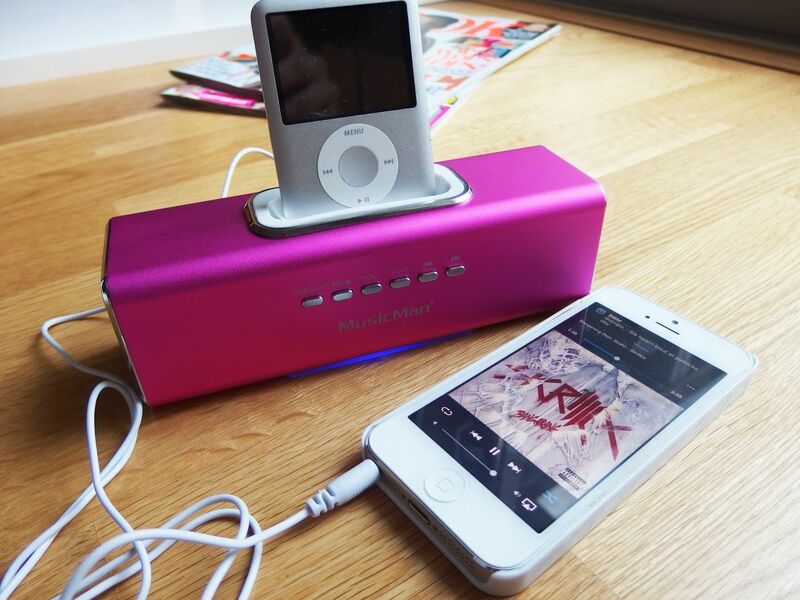 I really like how small and easily portable it is, it would be great for parks or to take when you go travelling. 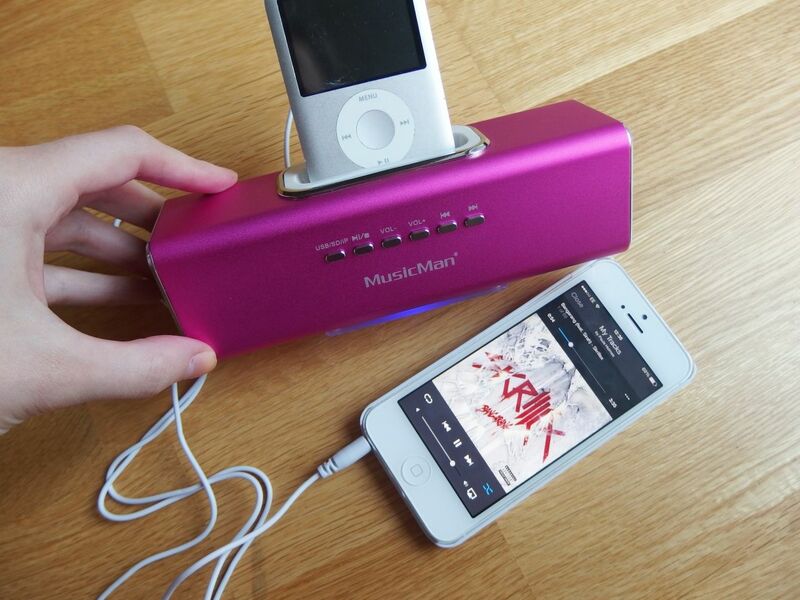 I am really impressed with this speaker dock, the sound is really good quality and for that it won’t break the bank either at only £34.80, it’s definitely a great option if you too are like me and want to play music through your phone.